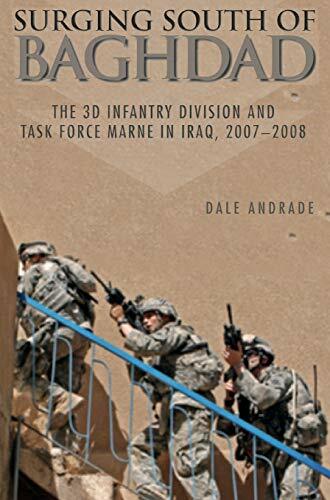 [PDF] Surging South of Baghdad: The 3D Infantry Division and Task Force Marne in Iraq, 2007-2008 | Free eBooks Download - EBOOKEE! Description: Surging South of Baghdad is the first in-depth study of counterinsurgency operations in Iraq during the troop surge. Dale Andrade examines the war in the Multi-National Division-Center, an area of operations established in the spring of 2007 to focus on the insurgent sanctuaries and supply lines south of the Iraqi capital. Before the surge, the territory was a backwater, used by al-Qaeda and other insurgent groups to recruit new fighters, construct roadside bombs, and transport both to the ongoing fighting in Baghdad. One of the five new brigades that "surged" into Iraq went to this region, more than doubling the number of U.S. forces already there and forming the southern anchor of the battle to sever this crucial link with the insurgents in the capital. The fighting south of Baghdad became something of a microcosm of the surge overall, an example of the necessity to combine troop strength with sound planning in order to defeat insurgents living among the population. This volume, completed only a short time after the event, provides a valuable perspective for the ongoing counterinsurgencies in Iraq and Afghanistan. No comments for "[PDF] Surging South of Baghdad: The 3D Infantry Division and Task Force Marne in Iraq, 2007-2008".